A caravan - the answer to all your tenting troubles! For many of us growing up in New Zealand meant Christmas holidays spent under canvas, in the families favorite campsites scattered around the country. 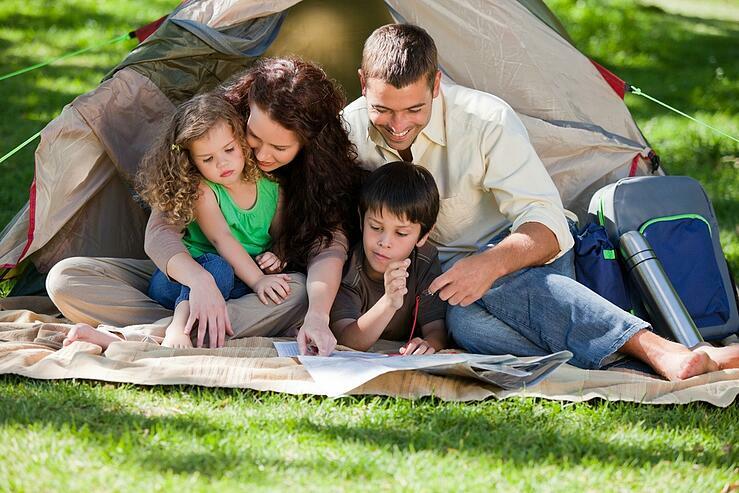 Tenting was always seen as the best family friendly holiday option! Personally, my family used to go to Port Jackson, at the top of the Coromandel Peninsula, a magnificent crescent of white sand met you as you came over the crest leading into the bay. Unfortunately a lot of people got put off by the long trek up there. All the beaches before this magnificent spot are rocky serving as another deterrent (one is even called Rocky Bay, fancy that). If only they had persevered over one more hill…..then again, and thankfully for us, that left paradise for only the hardy few. My first job as a kid was the one job where you started at the top, you guessed it…….digging the hole for the “long-drop” toilet, one memory I don’t miss. Long days were spent exploring the hills, snorkeling, catching eels, playing on my surf board, or digging sand castles on the beach, never a dull moment, and three weeks disappeared in no time. Then one year, we progressed to a pop-top camper, things were looking good I thought to myself, only to discover that I was relegated to my pup tent, as there was not enough room inside. And I still had to dig the long drop, as the pop top did not have the luxury of a bathroom. Our neighbors however , were “flash Harry’s” in their new , full size caravan, with fridge, lounge, beds & bathroom, so inevitably all social gatherings then happened at the big caravan. When I look back, these are some of my all-time favorite childhood memories!! You still see many people in tents these days, but with our fickle weather, and the wish to be able to explore year round, a caravan is a viable option without having to break the bank. Anybody that has put up a large family tent together, and have avoided a divorce in the process, will know that the time & effort to do so is not something you take on lightly. Having the luxury of a caravan means once you have arrived on site, backed her in place, wound out the awning, and pulled out the deck chairs, it must be time for a cuppa, with the relationship with the other half fully intact……....life is good ! A caravan is also perfect for so many reasons including keeping the family happy on holiday find out more reasons by downloading our guide. Of course a caravan means that for the next few days we can explore the local area on foot, but can pop into town for some extra supplies (beer & wine) if needed. Once you get the lay of the land, you might venture a little further, taking your tow vehicle on a few journeys in the local region, then returning to the caravan at night for dinner, a bit of socializing with the neighbors, and of course a nice hot shower before nodding off in your comfy bed…….just like home! The next day you wake up to the sound of pitter patter on the roof. Quickly confirmed as rain when you lift the blinds just in time to see your tenting neighbors, breaking out the trusty blue tarps from the Warehouse, as they remember they didn’t waterproof the tent after last summer, like they said they would. Never you mind, nice, dry and warm in the caravan, a leisurely breakfast for you, and you'll head out for the day once the rain stops. Watching the debacle with the tents next door of course offers some entertainment while finishing my coffee. A week here has flown by, and I feel we have seen most things, so time for a change of scene. Wind in the awning, store the deck chairs, hook onto the car & we are off, might try a new spot an hour or so down the coast. That is the great thing about exploring New Zealand in a caravan. It's like having a motel on wheels, only better, because I get to choose where I stay & for how long, plus it's clean & tidy, with all the things that I want to take with me. A month down the track, and a long weekend is approaching. Years ago, there is no way I was going to go to the trouble of setting up the tent, to only have to pull it all down again a few days later. Now, with the caravan, we go away as often as we can, because it is SO easy. I just need to give up this inconvenient thing called “work”, maybe hit the road full time for awhile……………but that’s another blog. 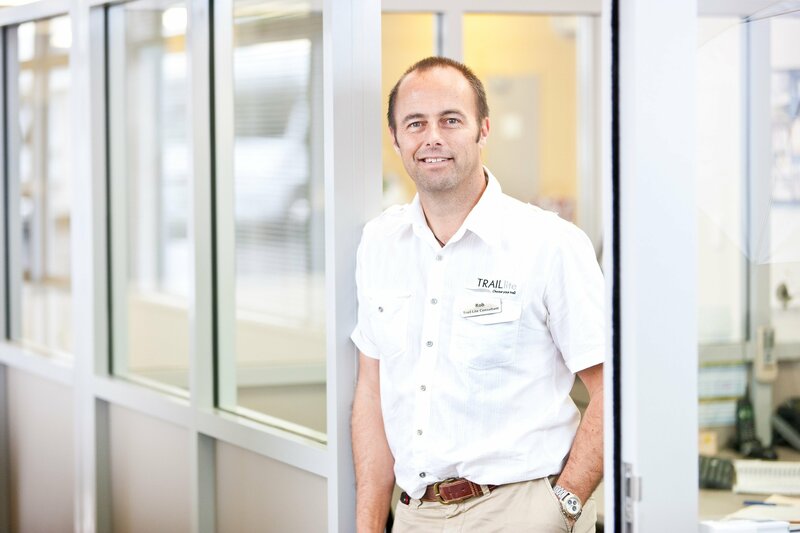 Rob is a Product Specialist at TrailLite. He loves travel, as we all do, but is passionate about design elements and styling. Working at TrailLite is a great synergy.